HomeTagsPosts tagged with "super bowl"
The Super Bowl half time show is a massive gig, and this year Lady Gaga took the reigns and entertained a crowd of 111.3 million people watching online, at home and in the stadium. The singer put on a spectacular 12 minute performance, with pyrotechnics, synchronised dance troops and, of course, costume changes. Since the Super Bowl aired, Twitter and Instagram has been buzzing with comments about one of Lady G's outfits in particular. The singer rocked a pair of sparkly hot pants and a white structured crop top during an epic rendition of Bad Romance, which showcased her athletic physique. Rather than focusing on her killer performance, online body shamers were focusing on something entirely different. 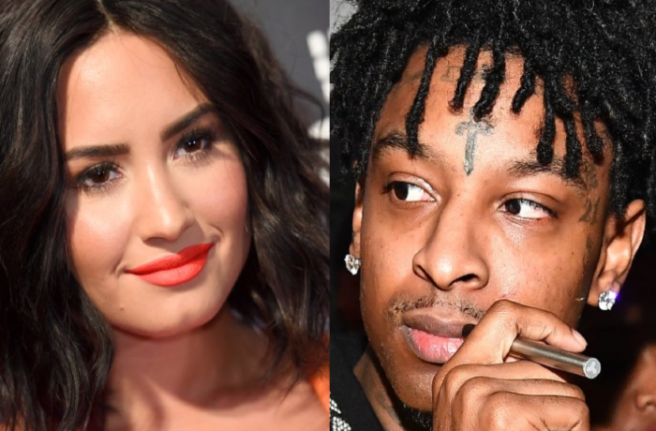 Twitter users took to the social media platform to slander and ridicule the star for having a tiny layer of fat on her stomach. Users slated the star for daring to show a stomach which they felt was less than perfect, and ever suggested that the star should have done more crunches to tackle her "flabby belly" ahead of the performance. 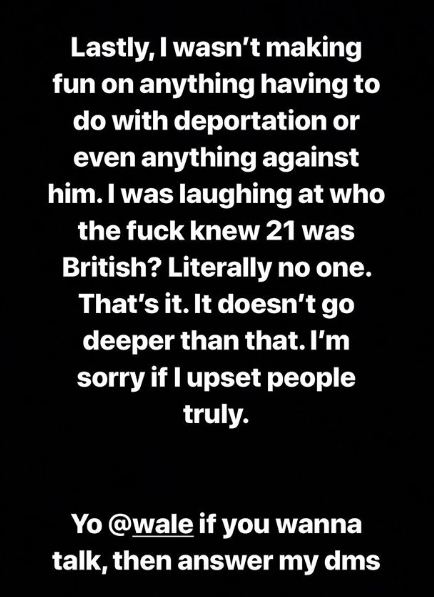 Thankfully the avalanche of hate was drowned out by the out cry of Gaga fans and body positive people. 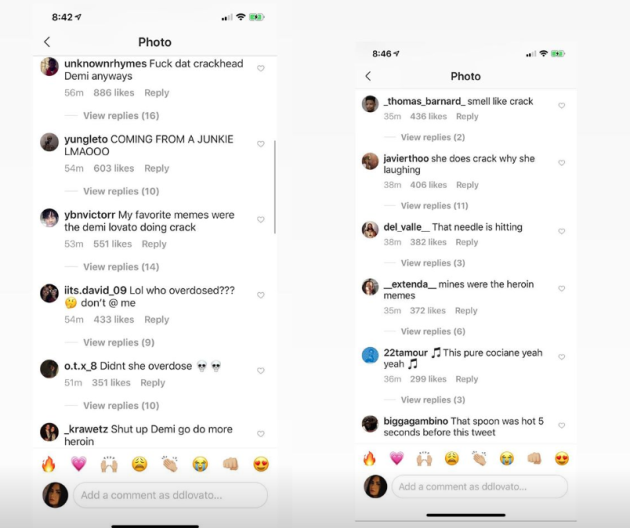 "Yall are talking about Lady Gaga's 'gut' & that is the reason women have eating disorders & never f****** feel like they're good enough," commented one user. Lady Gaga jumped off the ROOF of the Super Bowl stadium and all people can talk about is her 'gut?' tweeted another. Mother Monster is being praised online for showing a normal and "real" body type, and by anyones standards Gaga has a healthy, toned and athletic body. Those trolls have got some major issues if they think Lady Gaga is overweight. After much speculation it has finally been confirmed that Lady Gaga will headline the 2017 Super Bowl halftime show. According to Us Weekly, the Bad Romance singer has officially signed a deal which will see her follow in Beyoncé’s footsteps and perform as lead entertainer at the highly anticipated sporting event which is due to take place in Houston, Texas, on February 5. While this will be the singer’s first time headlining the show, it will not be her first time performing on the NFL field. Earlier this year she kicked off Super Bowl 50 with a performance of the US national anthem, a gig she described as “one of the highest honours of [her] career”. Given that the event’s halftime show is always a major spectacle – and that Lady Gaga is well known for her over the top approach – we can’t wait to see what the star comes up with. I love singing with Stevie, even if its impromptu! He is the kindest most generous soul. 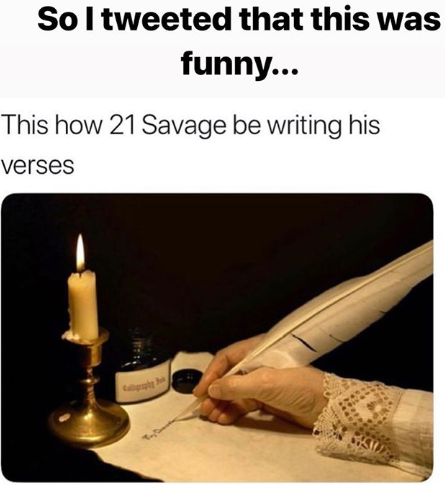 I said what key we doin' it in man F, F#? He goes. "I'll find you, girl." What link does the controversial religious group the Church of Scientology have with Trinity College's Long Room? But that didn't stop a shockingly similar room to Trinity's world renowned library appearing in an advertisement for the religious group, airing at prime-time to millions during the Superbowl 50 on Sunday. 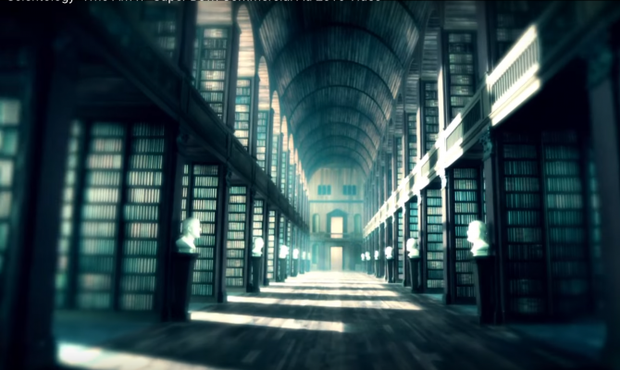 The image, which appears around twenty seconds into the glossy ad, shows a striking resemblance to the Dublin library, complete with two-level 18th century book cases and marble statues. 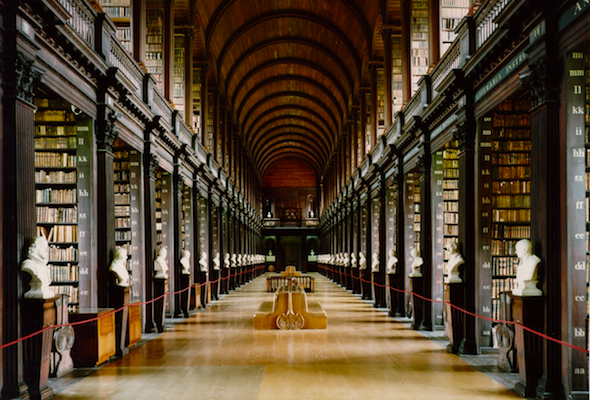 "The Long Room is a massive part of College's identity and is often featured on viral lists of the world's best or most beautiful libraries," said Trinity News. "It's not impossible that a producer somewhere saw an un-attributed image of the library and decided to mould it to fit the aesthetic of the video." A spokesperson for the famous university issued a statement confirming that the college had not given permission for any images of the library to be used commercially. "The image used in the advertisement for the Church of Scientology bears a strong resemblance to the 18th century library. "No permission was granted by Trinity College Dublin for its usage and it does not endorse it in this form of promotion. Contact is being made with the Church of Scientology on the matter." 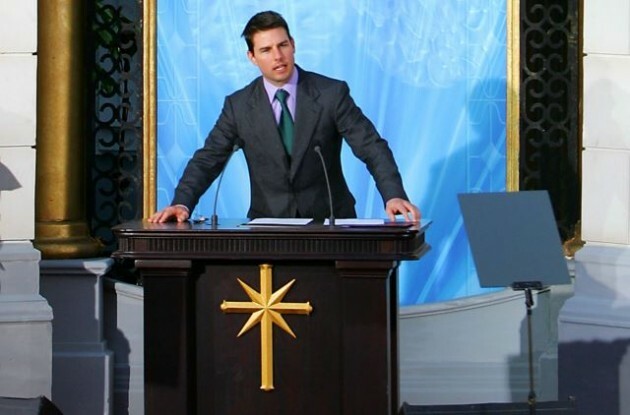 Scientology, a controversial and powerful religious group with property all over the world, remains a constant source of intrigue and bewilderment for many. Famous members of the church include Tom Cruise, John Travolta and Laura Prepon. There are just four days to go until the American football extravaganza that is the Super Bowl, but we're always more interested in the ads (and the half-time show) than the actual game. Budweiser generally goes all out for its Super Bowl ads, but this year they've taken a different slant. Rather than promote beer-drinking to viewers, they're instead warning people of the dangers of not drinking and driving. 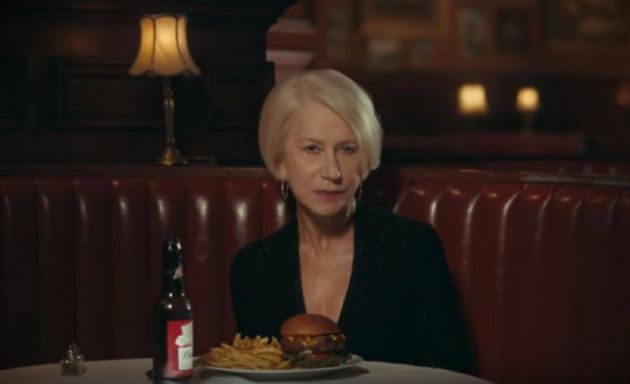 And in a genius move, they've employed Helen Mirren to get their message across. "Hello, I'm Helen Mirren, a notoriously frank and uncensored British lady," she begins. "If you drive drunk you – simply put – are a short-sighted, utterly useless, oxygen-wasting human form of pollution." Tell us how you really feel, Helen. The ad is part of Budweiser's #GiveADamn campaign, which is urging drinkers to never drive while under the influence. One word: wow! Katy Perry has stunned viewers with her spectacular performance at this year's Super Bowl halftime show. Performing many of her hits such as Firework and Dark Horse, Katy made FOUR costume changes and performed alongside some other huge names such as Lenny Kravitz and Missy Elliot. It's obviously something that Katy has been really excited about doing and she took to Twitter to share a throwback photo of herself, writing: "Today is for this girl. She had the dream, always believed in herself&her worth. Today she is the one smiling." He wasn't wrong as her performance has been the talk of Hollywood since last night – well done, Katy! Over the last few months, American TV has been flooded with ads and ads of dutiful women feeding their men snacks during the Super Bowl. As men sit back and watch the game with their friends, drinking beers and eating 'chips' – the female in the frame provides the food. 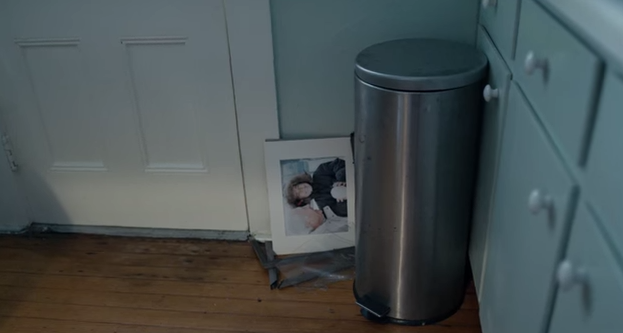 NO MORE.org have released their advert for the Super Bowl and it shows the dark nature of domestic violence around the world. Using a story that went viral last year in which a woman rang 911 pretending she was ordering a pizza, hearing the interaction is another thing to reading it. The US organisation is there to listen to victims of domestic violence when it’s hard to talk and aims to put an end to domestic violence and sexual assault. Such a powerful ad, we’re glad it will get national airtime during the Super Bowl to raise awareness and reach people not only around America, but around the world. Budweiser's Super Bowl ads are famous were making us feel all of the feels and making us cry rivers of tears. This one is no different! The adorable pup accidentally gets locked into a moving truck that causes him to become lost, alone and scared (we know, we can't handle it either!). Meanwhile, his owner and his best friend, a horse, are handing out fliers and in being broken-hearted over the loss of the cute little pup. Thankfully, there is a happy ending to this sad tale – enjoy! When you’re short of a few quid, there’s no harm in turning to a cash-rich pal for a hand out, but asking Madonna for a $16 million loan is taking it a bit far. Rapper M.I.A (real name Mathangi Arulpragasam) has taken to Twitter to ask Madge for a loan of $16 million after the NFL demanded she pay that amount in compensation for flipping the bird during the 2012 Super Bowl half-time show. None-the-less, English-Sri Lankan rapper’s impromptu gesture during her performance of Give Me All Your Luvin’ alongside Madonna, has gotten her into a lot of hot water and she’s turned to her buddy for a dig out. We assume M.I.A is joking but you never know, the Material Girl might be feeling generous. Bruno Mars lit up the stage last night as he kicked off this year’s Super Bowl half-time performance. While he wouldn’t usually be described as a rocker, the 28-year-old really left an impression on the crowd as he kept everyone going with his rocking performance. The Red Hot Chilli Peppers also joined him, so you can only imagine how electric they were. Prepare yourself for this mega explosive performance. You’re not American and you’ve probably never watched a game of American football in your life, but that doesn’t mean you can’t get into the Super Bowl spirit – who are we to let a bandwagon go by without us? Here’s a really simple nail tutorial in honour of this seemingly important sporting occasion – go team!